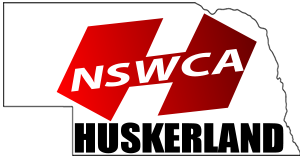 Is Huskerland and NSWCA membership the same? Yes, since the merger of NSWCA and Huskerland, membership has been streamlined to be the same membership: both enjoy the benefits of each organization. Is the $100 High school coach and club the same membership? Yes, in order to be covered for the $10 million liability coverage, each high school head coach or youth wrestling club coach needs to sign up for the $100 membership. If a High School coach applies for the $100 membership, does the youth club get the same coverage? YES. Any youth club associated with a high school program will receive the save coverage as the high school under the same membership. ALL youth coaches still must pay the $25 membership and obtain their own AAU Card to enjoy the same privileges. What is included in the $100 membership? What is included in the $25 membership? What if I’m not a Coach, but want to be a member of NSWCA? What are the additional benefits of the AAU insurance? Do coaches need to obtain their own AAU Card? YES. In order to qualify for AAU Coverage, all coaches must obtain their own non-athletic AAU Card. Why do I have to obtain my own AAU Card? Due to the sensitive information required to do the background check, Huskerland/NSWCA cannot securely protect that information. Each coach will have to obtain their own AAU card. How do I obtain an AAU card? What if I pay for a membership and DO NOT obtain an AAU Card? How much is a Non-Athletic AAU Card? $14-$16 based on your level of coverage. Do my athletes need an AAU Card? YES, if your athletes want to participate in any AAU events, they will need their own athletic AAU card. This becomes the secondary insurance in case of any injuries.